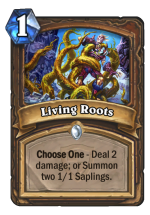 Here’s a totally old-school Midrange Druid list that’s been performing quite well in Wild ranks 10-5. 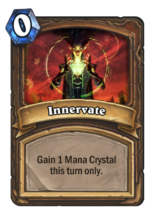 It’s extremely tight, usually curves out, and almost always wins if allowed a substantial board on turn 5 (the power turn of this deck). 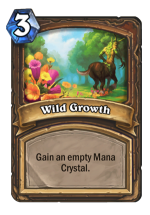 2 Wild Growths and 2 Darnassus Aspirants let you ramp up more consistently, something this deck needs to get ahead of the curve of other midrange decks (something Midrange Druid didn’t necessarily need to do 2 expansions ago). 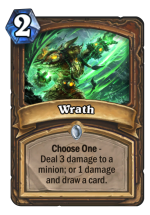 This deck’s main weakness is card draw, so try to value trade whenever possible and always try to use your hero power with spare mana. 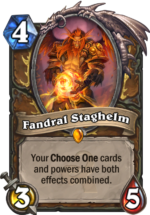 Fandral barely makes the cut with a whopping 8 Choose One cards. 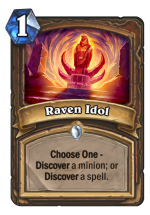 Hiding Fandral+Wrath behind a Sludge Belcher makes for a won game, and he can go crazy with Raven Idols, so he makes the cut. 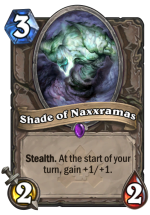 Eater of Secrets isn’t in the deck for the Freeze Mage matchup (though it does help), but it’s more useful against Secret Paladin. 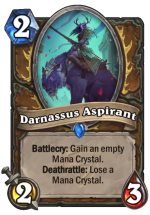 Dropping a 4/6 and clearing some secrets on curve usually spells death for your opponent, and he can also be a good asset against Mysterious Challenger (though a little slow). 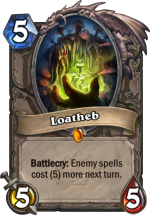 Since N’Zoth Priest is such a force in wild, we’re running Loatheb and a Savage Roar, which both help the matchup immensely, especially in combination. 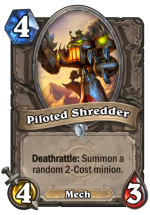 While this deck doesn’t run any One Night in Karazhan cards, it was built with the ONiK Wild meta in mind. Hope you guys enjoy!